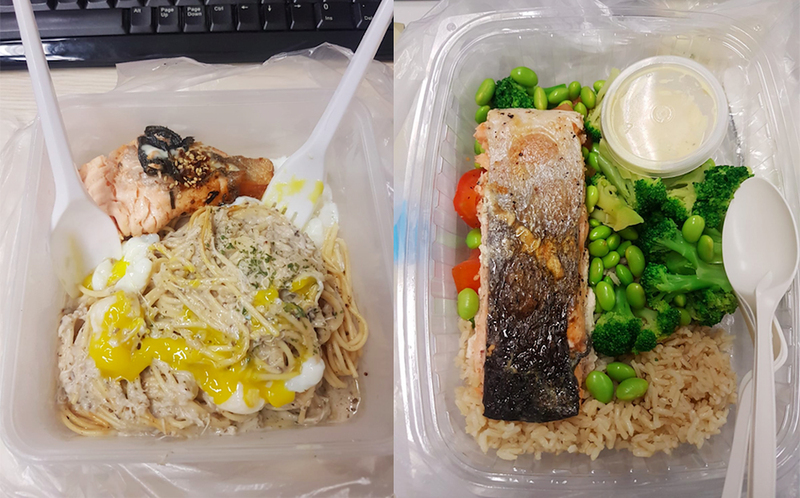 S'poreans: Buy Meal Plans, Or Get Your Own Lunches? It Takes A Lot To Make Us Commit - What Do S'poreans Want In Meal Delivery & Subscription Apps? Just as there are plenty of food options in Singapore, the same goes for services that bring the food to customers. Besides apps like GrabFood, Deliveroo, and Foodpanda, there’s another slew of firms that set themselves apart with specialised solutions, including packages to settle your meals for a month. These meal delivery and subscription plans mainly serve office workers in the CBD or other industrial hubs, who want to save time rather than queuing up for lunch. They usually offer benefits like “skipping the queues”, “saving costs with fixed prices”, or “a variety of great food options close to you”. 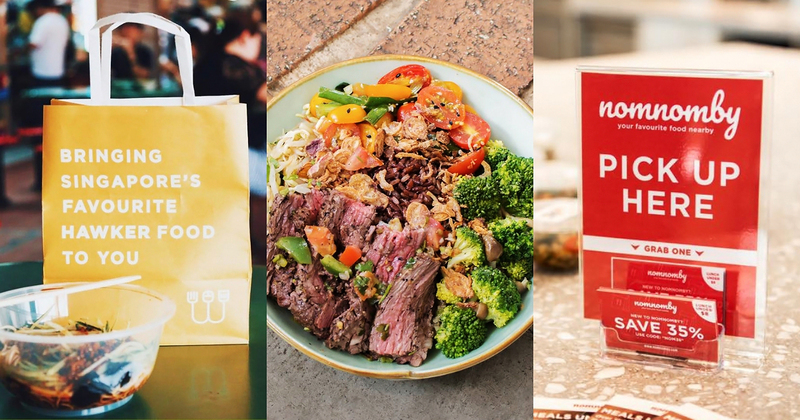 Better known monthly subscription services include US-based MealPal that came to Singapore in July 2018, and Singapore’s own startup nomnomby. Others come without the commitment, but similarly focus on helping people miss queues by delivering curated meals or taking bulk orders ahead. As these come into play, we really see how saturated the market has gotten with firms like WhyQ, YOLO, Plum, XINDOTS, Grain, and more to count. But is there truly a need for so many meal delivery and subscription services, especially when most of them zero in to fight for a slice of the CBD? Hong Kong-based Plum has already bowed out of the show without making it to a full year, perhaps a sign that there may not be enough reception to sustain operations. How exactly are other players in the food delivery and subscription scene doing, and do Singapore users really find value in what they have to offer? We talked to a few users and non-users, and it was quickly apparent that there are many different benefits people look out for, that can’t be easily consolidated into one mould. Some are happy if the service lets them order ahead of time and skip the queue, going straight to pick up their meal from the store when it’s ready. Others say they require food to come to them due to tight schedules at work. Roger, who works at Telok Ayer, says that even if he used these apps, he still wants to be able to “head out of the office just to be out of work for awhile”. On the other hand, a Raffles Place worker (who has requested to be anonymous) uses delivery services mainly because she says, “I have no time [to go out and buy food]”. Still, there are users who aren’t too focused on the delivery or pick-up aspect, but instead look out for the variety of food, or the inclusion of healthy options. One thing they can agree on is that price is of importance, and they’d be more likely to subscribe if there are good discounts that keep the service cheap to use. Firms have aggressively marketed themselves, making it almost impossible to avoid knowing of their existence if you work in the CBD. But sometimes that only goes as far as getting brand awareness, not new customers. “While I was queueing for food at the hawker centre near my office, someone approached me and passed me a brochure about the XINDOTS app,” says Roger. He also knows about WhyQ, which specialises in hawker food deliveries, and rates his level of interest in these services at a 4 out of 5. 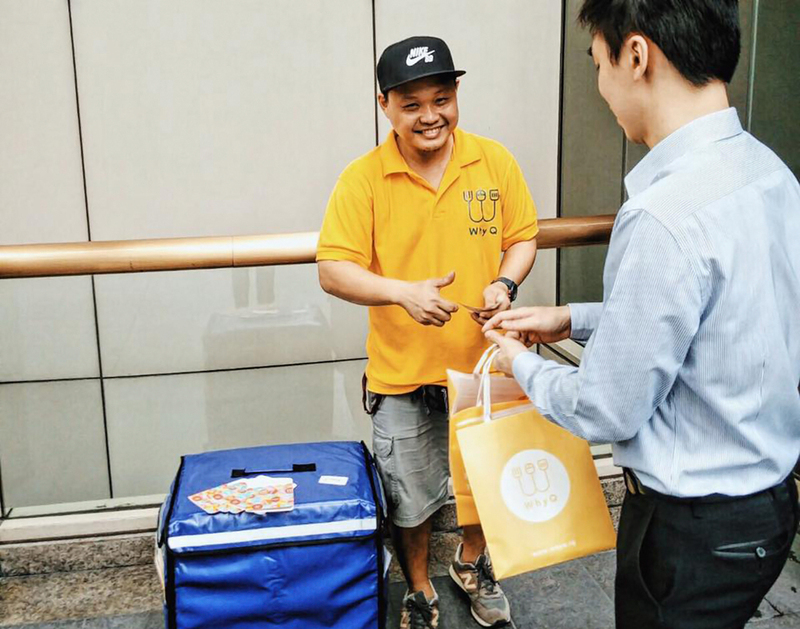 Kianne, who works at Raffles Place, knew of Plum, nomnomby and MealPal, but needed a bigger push to give it a try—she signed up only after MealPal paid a visit to her office, offering a free meal to introduce their service. After signing up, committing has been tough for her. “It doesn’t feel flexible, and sometimes I have to give up lunch plans [with friends or colleagues] because I have a scheduled meal,” she says. She’s since switched to nomnomby, and then decided to terminate her membership there as well, currently “struggling to complete” her last full month that couldn’t be terminated in time. Working in Tai Seng, Dew is a frequent user of YOLO, which serves healthy meal plans islandwide through Grabfood, Foodpanda and Deliveroo as their delivery partners. He was drawn to YOLO to help him achieve a healthy diet, but even though he needs consistency over a long period of time, he still prefers to make one-time orders instead of subscribing. “I did some calculations, and found out that ordering ala carte is cheaper. Their meal plans come with extra things like snacks which I don’t need, and ends up being more expensive,” he explains. With subscriptions, users have to be convinced to make one big payment covering their meals across a month. Firms often have to employ attractive discounts and promotions to get new users on board. For example, Kianne signed up with MealPal at a 40% discount, and with nomnomby at a 50% discount for her first month. Also working around Raffles Place, Esther similarly started using MealPal when they had been offering a 1-for-1 promotion at the time. However, it’s hard to turn people into loyal customers, knowing their subsequent months are going to cost more than they were happy to pay at the start. While Kianne says the discounts made food from restaurants like Grain Traders, Pickleville and Avorush very affordable, she didn’t see the need to upkeep this lifestyle of eating premium meals daily when prices were raised to normal. Likewise, Esther stopped using MealPal at the end of her discounted plan. In her opinion, it was “not worth it” at the usual price, but she added that she was happy with the food choices in her area, and might consider signing up again if she really needs to save time. Being exposed to firms around their workplaces, most responded with a decent to high level of interest (3 out of 5 and above), regardless if they were users or non users. Some, like Roger, feel that these food services are needed especially in the CBD, to offload a portion of people from the crazy queues at lunch hour. But others say they simply find the idea “interesting” though not really needed, as if more of a novelty. These sentiments were mainly towards the subscription aspect provided by some services. In her experience with MealPal and nomnomby—both subscription-based apps that let customers place orders ahead of time and pick up their food themselves—Kianne says she still prefers a service that can deliver, and she uses “GrabFood so much more”. If time is not an issue, some Singaporeans like Diyanah would feel that subscriptions aren’t necessary as you “just need to find the time [to] prep your own meals”. Of course, their personal opinions don’t reflect how all users in Singapore feel about food delivery and subscriptions. Others have reasons to find these services suitable for their needs, and they make up the firms’ user bases, some of which are fairly robust. Esther may not have continued with her subscription, but some of her colleagues are users. “It’s a lifestyle thing,” she says, and you may find it suitable depending on various factors like whether you need to “socialise over lunch”, or whether you’re “willing to walk to expand your choices of food”. A small sample of respondents can only represent a few voices, so we also reached out to the firms to get an idea of how many users are on these platforms. MealPal, which has been active in Singapore for just 6 months, has had no trouble facilitating a total of 275,000 meal orders till date, which averages around 1,500 a day. 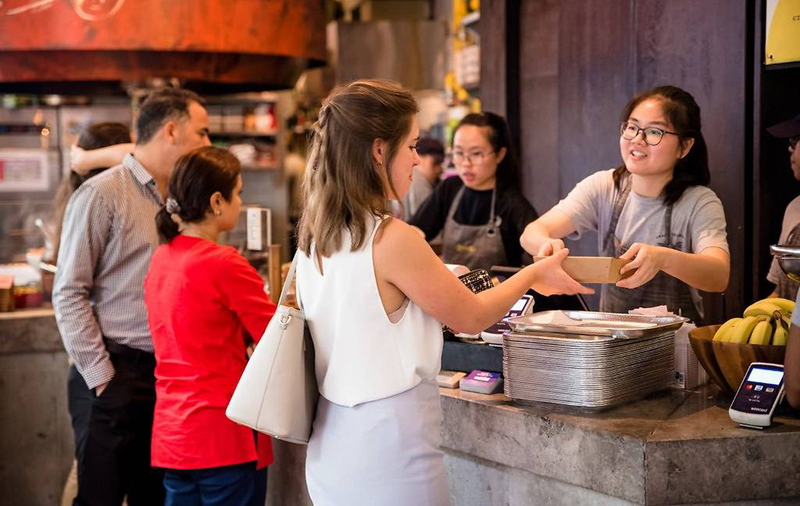 “We are very happy with the progress of MealPal in Singapore,” says Asia Pacific General Manager Paul Clifford. With this success, MealPal plans to move forward with customers’ feedback to extend the service into more areas, like Changi Business Park and some heartland neighbourhoods this year. MealPal came to Singapore with a firm foundation established in the United States, Canada, and other countries since starting up in 2016, and its reputation and experience have surely helped in this new market. On the other hand, brand new local firms may have had bigger challenges breaking into the industry from scratch. 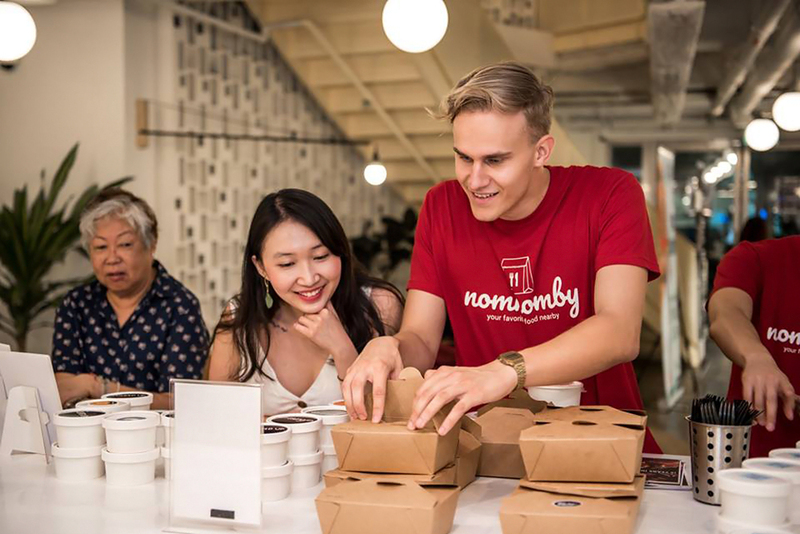 Co-founder and CEO of Singapore’s nomnomby, Matas Linauskas, says their service has 700 active subscribers who bring in 8,000 food orders each month. That’s a pretty healthy number, considering they were hitting about 3,200 orders monthly when we first interviewed them half a year ago. One respondent mentioned that Plum’s service was too pricey, but MealPal and nomnomby were more affordable in comparison. Matas suggests Plum had a tougher model to sustain which included delivery overheads, whereas nomnomby benefits from its “lean and scalable” model, doing away with delivery costs and building habits by having users subscribe and collect their food. However, they’ve been aware of barriers users face when considering the commitment of subscriptions, and pay attention to their feedback to make adjustments. We wanted to avoid the “use it or lose it” burden customers face, and decided to let subscribers roll over [unused] credits to their next period. This way, credits last forever as long as they stay subscribed. nomnomby also listened and adapted when customers asked for dinner options to be added, and to allow multiple bookings of the same meal. With Plum’s departure, another local startup WhyQ stands to benefit by absorbing its existing user and partner bases. 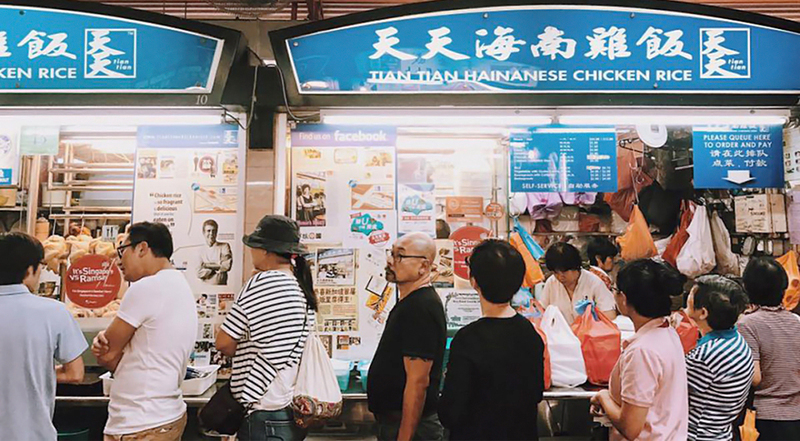 Prior to that, WhyQ, which didn’t operate on a subscription basis, already counts 65,000 users on its platform, raking in about 1,400 deliveries of solely hawker food on a daily basis. Like nomnomby, WhyQ co-founder Rishabh Singhvi says they actively seek to improve their services through feedback channels, working on order tracking, and upgrading their packaging containers. They also plan to introduce new subscription and corporate catering features on top of their standard deliveries soon. But perhaps, their ability to achieve a consistently high usage rate could be a sign that confirms users’ struggle to enter new subscriptions without the confidence of a long-standing reputation. With both local and international firms competing in the small Singapore market, not all will be able to come out on top, and small subscription-based services may face even tougher limits to growing—but that’s not to say it isn’t possible, with decent results at the moment. Attempts to distinguish themselves from the crowd seem positive for each of these firms so far, and some could hope to become mainstays in the local F&B delivery scene. VP Asks is a series where we gather professional and public opinions on topics that matter. Want to suggest a topic for us to talk about? Leave a comment here or send the suggestion to our Facebook page.